Democracy and Young Labour have, in recent history, been mutually exclusive. The strange incompatibility of democracy in this organisation and Labour Students has been justified with various excuses: “we should spend the money on campaigning” (as if a political organisation has no politics); “it will disenfranchise women” (as if the majority of women in our movement aren’t already disenfranchised by virtue of being unable to vote); and so on. So what a pleasant change to discover that many Young Labour national committee members are freshly converted, and now extol the virtues of democracy. For this, we owe our thanks to countless Young Labour activists who have been campaigning for change for years. The motion presented at January’s committee meeting calls for “a wholesale overhaul to help build a more open and democratic Young Labour.” OMOV is indeed very much welcome, and sorely needed to increase the participation of every Young Labour member in our movement. So far, so good. Unfortunately, there is a catch to all this. This ‘wholesale overhaul’ is to be conducted not by Young Labour members themselves, but by an as yet unnamed member of the PLP – removing accountability and control from us. Moreover the motion states that the structural review will be “adopting the ethos of the Collins Review”, overturning the democratic decision of Young Labour members at Conference to reject it. A full account of how Young Labour National Committee voted down every attempt to make the review more transparent and led by our members can be found here. It is a sorry sight to see that the review aimed to make Young Labour more open is in fact being conducted in a way that is not open at all; instead in the murky shadows of bureaucracy and closed meetings. In lieu of a democratic review, we have been given a Golem in its image: unthinking stone to mutely follow orders rather than the fiery collective will of our members. This is why Young Labour members have decided that the fight for democracy in our movement must go beyond presuming the benevolence of a PLP member to gift changes to us from high. As Luxemburg appositely, stated democracy “is not a Christmas present”; it is not our reward for being good on the #labourdoorstep, for not questioning the party line too much. It is something we will have to build ourselves with our own energies and imaginations. To this purpose, Labour Young Trade Unionists and Young Labour for Democracy have called a meeting on Saturday 7 March, details here, in order to discuss the way forward for a more democratic and inclusive Young Labour. 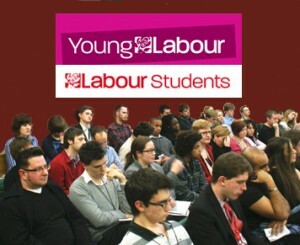 This meeting is open to all Young Labour members: it is your time to contribute. We all know the necessity of having a living, breathing organisation. Let’s make it a reality. 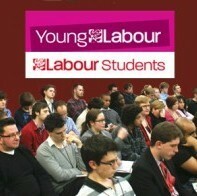 Posted in: Activism, CLPD, Labour, Politics, Young People.